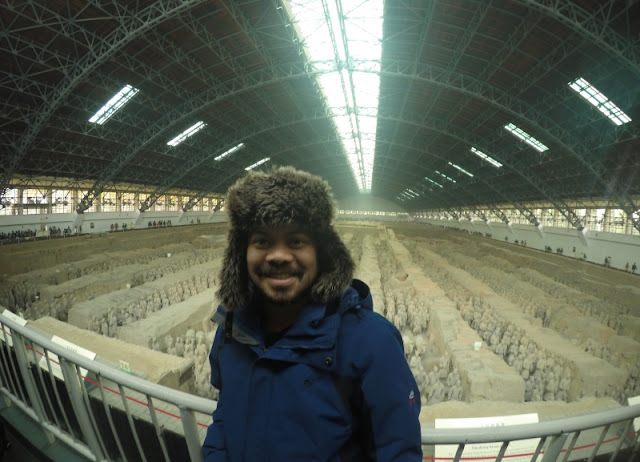 Together with the Great Wall of China, The Terracotta Warriors in Xi’an is on top of my list of places to visit while in China. I’ve been dying to see this amazing site ever since. And just last week, that dream became a reality. I was able to see the famous warriors. It is the greatest archaeological discovery of the 20th century. It is also considered the 8th Wonder of the World. And, of course, it is a UNESCO World Heritage Site. I love history. And, to be able to see with my bare eyes, these historical, marvellous works of mankind, I felt really fulfilled. I’ve read and watched documentaries about the Terracotta Warriors. That made me appreciate the site even more. The first emperor of unified China, Emperor Qin Shi Huang Di ordered his craftsmen and slaves to build a grand tomb fit for an emperor. Historians say it is really huge that there’s a palace underground. Although the site of the pits were the Warriors are located are part of the tomb, the actual tomb of the emperor haven’t been excavated. These armies were intended to guard the emperor in the afterlife; 8,000 of them in total, in battle-ready formation. In 1974, it was accidentally discovered by farmers when they were digging for a well. When I was on the site that day, I felt in awe. The fact that I’m beholding at 2,000 year-old relics, made it very special. Plus the sheer scale and grandeur of the tomb-life-sized statues numbering in thousands made without modern tools-makes the experience really worthwhile and worth remembering. So I suggest visiting this place, too if ever you have a chance. My friends and I flew from Beijing via Hainan Airlines. 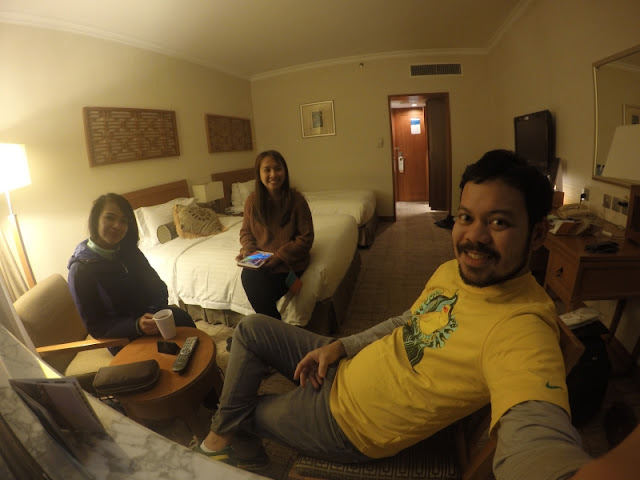 We stayed at Grand Park Xi’an Hotel. There are may hotels and hsotels in the area, as Xi’an is a tourist-oriented city, as well. So, you’ll have lots of choices depending on your budget. If you have the budget, though, I suggest staying in this lovely hotel. It’s near the railway station and it’s right by the City Wall. It is a relaxing, 5-star hotel. From the hotel we took a cab going to the bus station. 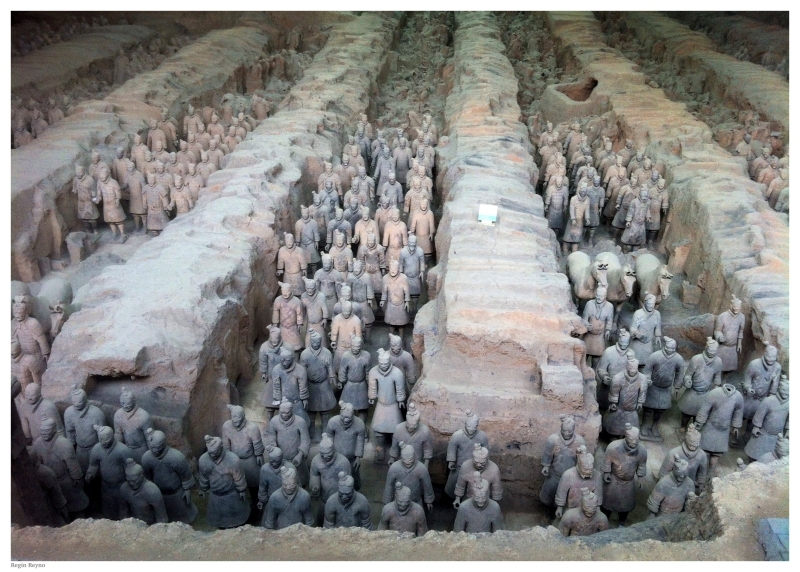 The Terracotta Warriors is located an hour bus ride from the city center. Then we took bus 306 going to the Terracotta Warriors for only 8 rmb. 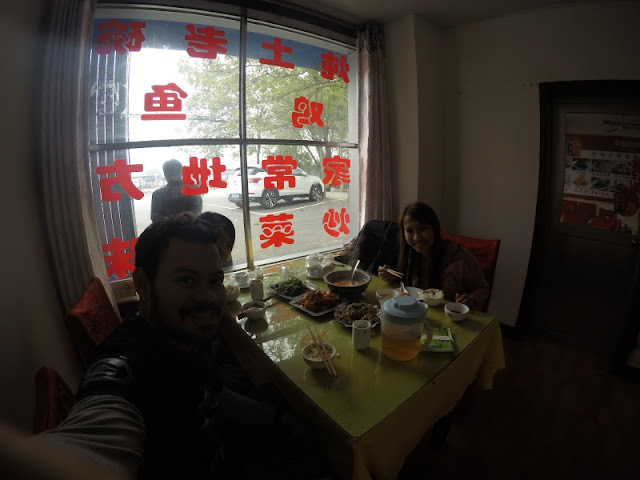 After an hour journey, we were so hungry so we went to a restaurant near the entrance for a delicious Northern Chinese cuisine. After paying 150 rmb for the admission fee, we then explored the museum. It was winter time, so it was cold. But, it’s also good because there weren’t lots of people. So, that’s one technique if you want to avoid the crowd in tourist places in China; go in the winter. After 3 hours of exploring the place, being in awe, talking about history, buying souvenirs, and having hot drinks, we took bus 914 going back to the city center. It was a fulfilling day because we just saw and experienced a 2,000-old work of talented craftsmen and had a glimpse of a living proof of how powerful emperors were back in the day. -Hire a guide if you have the budget. They’re worth it. Forget about the Electronic Audio Guides. They’re useless. -Buy souvenirs in souvenir shops, not from people who approach you carrying souvenirs. -Enjoy and savor the moment. Behold them with your bare eyes and take time to absorb the information. Avoid taking to many pictures. Your camera is a distraction. Questions? Write them on the comment section below.